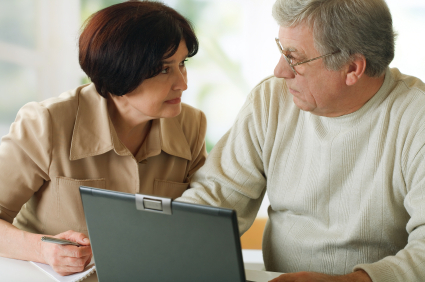 Because when you are facing the challenges of mesothelioma, more information and support is always better than less. So I’m giving you links to five more helpful websites that offer excellent mesothelioma support although the content is geared to cancer in general. In case you missed it, please take a look at our first batch of websites. Always start with your doctor. He or she is your best information source for mesothelioma support because of their training, experience and knowledge of your condition. Not all specific mesothelioma support websites out there are good. You have to be careful because often what looks like a public service non-profit organization is really a law firm trying to disguise who they are while looking for clients. That’s why cancer support websites also are a good place to look for information. The American Cancer Society – When you type “mesothelioma” into the search box of this website for the U.S.’s biggest non-government organization dedicated to cancer research, you get 188 mesothelioma topics within the site to click to. Topics like “What’s new in mesothelioma research?” They know. We’re linking you right there. Facing Lung Cancer – This website is affiliated with the venerable American Lung Association founded in 1904. Their lung cancer-specific site offers help for every stage of the disease and an exploration of treatment options. There’s also a lung helpline and an interactive library. For background information on mesothelioma, the American Lung Association site is the better site with 84 topics. Caring.com – A mesothelioma diagnosis changes your world in ways not many people understand. This site gets what you’re going through and offers kind but practical advice for the caregiver. You can sign up to receive their short helpful and supportive articles via email. With topics like The 5 Biggest Issues That Sabotage Family Caregivers, Five 10-Minute Pick-Me-Ups for Caregivers and Quiz: Are You Headed For Caregiver Burnout, this is a site that hits home. Cooking With Cancer – Here you’ll find recipes researched and tested on patients undergoing chemotherapy and radiation. It was founded by an oncologist who enrolled in culinary school to combine the art of cooking with what he knew about the changes in taste and smell in patients with cancer. The site also provides cooking videos for many recipes. Gentle Yoga For Cancer Patients – Yoga instructions from Memorial Sloan-Kettering Cancer Center’s Integrative Medicine Service are shown here in a video of gentle yoga exercises that can be done in a hospital bed or seated in a chair. Yoga has been found to be beneficial to cancer patients. For additional resources, please check out our Mesothelioma Resources page.